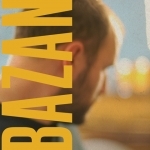 David Bazan came to fame as the creative force behind Pedro the Lion, an indie rock outfit that formed in Seattle in the mid-1990s. In the group, Bazan sang openly about his Evangelical upbringing and won over Christian fans with songs that mixed raw, exposed honesty with wry levity. That is until his faith began to waver and a somewhat infamous 'public intoxication' ended that chapter of his career. These days, the openly agnostic singer-songwriter performs under his own name and will bring his new sound to the Opolis for a 9 p.m. show this Friday.